The best way to begin is by praying – either to God, or to your own guardian angel – for angelic help to start dreaming lucidly and using your lucid dreams for good purposes. Angels can do much more in your life when you invite them to help you through prayer than if you never pray for their help. While they will sometimes act without your invitation when necessary (such as protecting you from danger), angels often wait for invitations to act so they won’t overwhelm people. Inviting your guardian angel to help you focus on specific topics while you’re dreaming makes sense, because that angel is the closest one to you, and is working on assignment from God to care especially for you. Your guardian angel already has intimate knowledge of what’s going on in your life, and he or she cares deeply about you. Pray about the specific issues you’d like to dream about. Any topic that you’d like to learn more about through a lucid dream is a good subject to pray for guidance on while you’re awake. Then, when you go to sleep again, your guardian angel can communicate with you about that topic in your dreams. As soon as possible after waking up from a dream, record all the details of your dream that you can recall in a dream diary. Then study the information, and when you recognize a type of dream that you’d like to experience again to understand better, think about that dream intentionally before the next time you go to sleep – this will help reinforce the dream in your mind. Keep doing so until you actually do dream about that topic again. Eventually, with help from your guardian angel, you’ll train your mind to choose what to dream (dream incubation). The next step is to practice asking yourself if you're dreaming whenever you suspect that you might be doing so, such as just as you're sliding into sleep, or just as you're awakening. Those transitions between different states of consciousness are when you're most likely to train your mind to become aware of what's going on at any given time. The Talmud, a Jewish sacred text, says that "an uninterrupted dream is like an unopened letter" because people can learn valuable lessons from interrupting dreams and becoming more aware in the process of those dreams' messages. A key sign that you're experiencing a lucid dream -- a dream that you're aware of dreaming while it's happening -- is seeing light featured prominently in your dream. In his book Lucid Dreaming: The Power of Being Awake and Aware in Your Dreams, Stephen LaBerge writes that, "The most common dream symbol involved in the initiation of lucidity seems to be light. Light is a very natural symbol for consciousness." Once you’ve learned how to be conscious that you’re dreaming, you can start to direct the course of your dreams. Lucid dreaming puts your mind in control of what you experience in dreams – and with your guardian angel’s guidance through your thoughts, you can access great power to figure out whatever issues concern you, and act on them in your waking life. You may see visions of angels in your dreams if you let them know that you hope to see them before going to sleep. A 2011 lucid dreaming research study from the Out-of-Body Research Center in California, USA found that half of the people who participated saw and communicated with angels during their lucid dreams, after they stated their intentions to hopefully encounter angels before they went to sleep. Following your guardian angel's guidance (through thoughts that your angel will send directly to your mind), you can discern how best to interpret the messages in your dreams -- both positive dreams and nightmares -- as well as how to respond to them faithfully in your waking life. 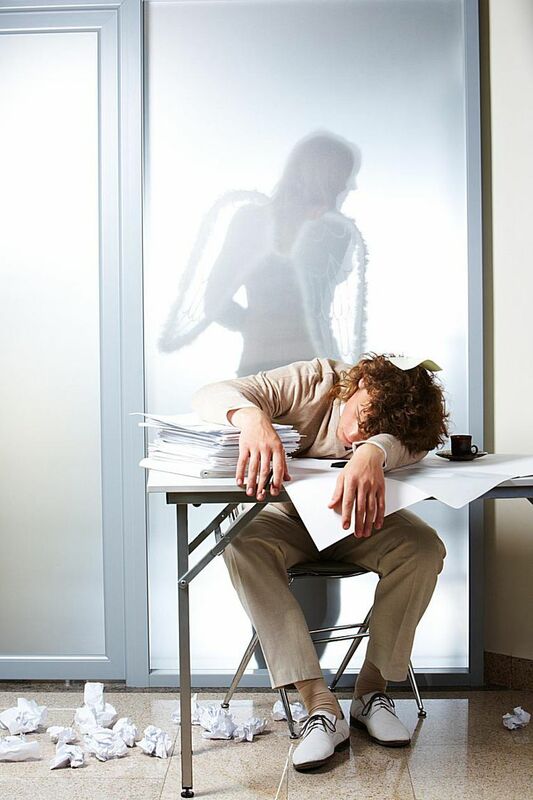 Pursuing help from your guardian angel to learn from your lucid dreams is a wise investment, since it helps you make good use of the significant amount of time you spend sleeping. In Lucid Dreaming: The Power of Being Awake and Aware in Your Dreams, LaBerge emphasizes the importance of cultivating dreams to the fullest. He writes: “…as we neglect or cultivate the world of our dreams, so will this realm become a wasteland or a garden. As we sow, so shall we reap our dreams. With the universe of experience thus open to you, if you must sleep through a third of your life, as it seems you must, are you willing to sleep through your dreams too?”.